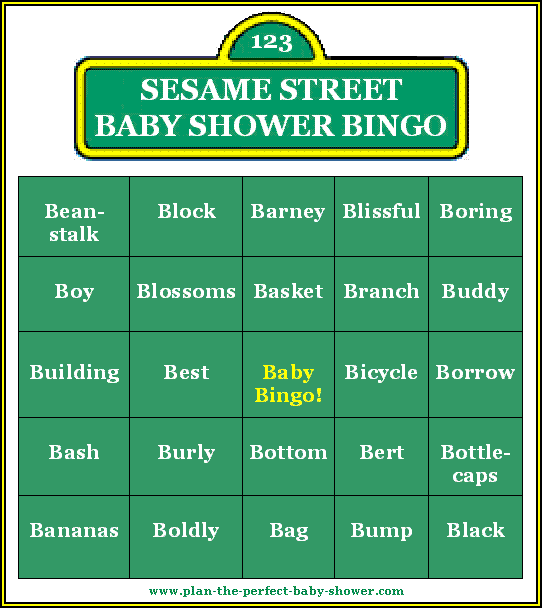 After playing this fun Bingo baby shower theme and game, your guests will be singing all the way to Sesame Street! 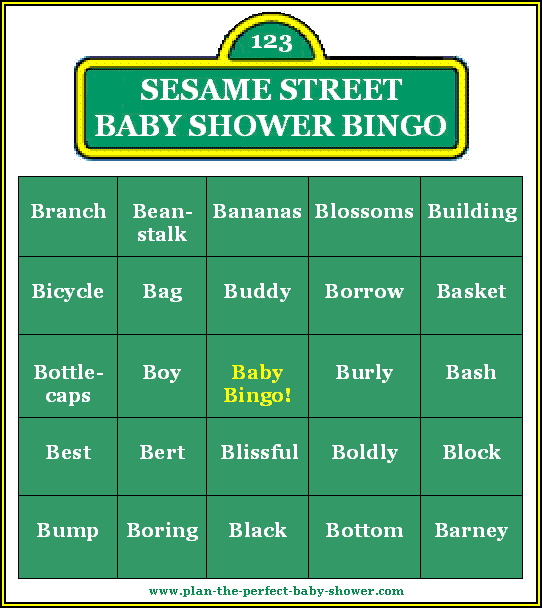 This is the Baby Shower Bingo SESAME STREET Game. Bingo is the Grand- mother of Baby Shower Games and everyone loves to play! 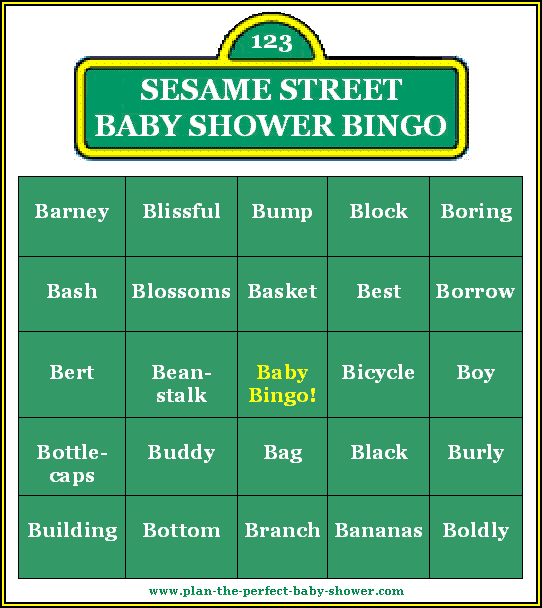 Below is the 3rd set of free printable Baby Shower Sesame Street Bingo cards. You will need a different card for each guest (so you don't have two guests winning at the same time). There are 20 different cards that you can print off here. There are five different cards on each page (so the pages will load faster). So go to all four Bingo pages to get all 20 different cards. Just follow the printing directions below and print a different card for each guest. Sesame Street Baby Shower Theme and Game Ideas!